If you’ve found us here, it’s because your Ferroli boiler is faulty. We’re going to cover the most common Ferroli boiler faults (some have some quick fixes). It’s important that you always consult a local Gas Safe engineer to fix the problem. Rather ditch your old Ferroli boiler? We’d recommend heading over to BOXT. They are part owned by Bosch. Meaning? 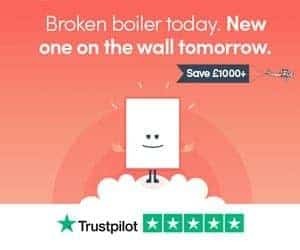 You’ll be able to get a brand new Worcester boiler fitted for a ridiculously low price! If your boiler has a fault and it’s not listed, please leave a comment and we’ll get back to you as soon as possible. Click directly to the fault that relates to your boiler. Having a boiler lockout can be extremely frustrating. It’s almost like it wants to fire, then just stops working altogether. On some occasions, it might fire up for a split second and then lockout again. There are various fail-safes in Ferroli boilers that will stop them firing (and make them lockout). This is particularly common of the Modena and Optimax boilers. Usually the issue relates to the PCB which is the heart of the boiler. A Gas Safe engineer will run an electrical test using a multimeter. They’ll be checking to see if there are any breaks in the circuit. Hopefully there is a small break in the circuit that can be easily re-wired, otherwise this fault just got a lot more expensive. If the wiring is in good condition, it’s a new PCB that needs to be installed. And this is rarely good news. A quick search on Google will show the Ferroli Modena 80e PCB weighing in at over £300, and expect to pay £100-200 to have it fitted. Like many PCB failures, the best option for older boilers is simply a replacement boiler. The cost of a PCB just isn’t worth the investment for old and unreliable boilers. This Ferroli boiler fault is extremely common in the older Sigma models, such as the Sigma 50 and Sigma 60. After locking out, the boiler usually displays a A01 or A06 fault code. If your boiler ignites for a second or two. Or, if it makes a blowing sound and then turns off, there is likely to be an issue with the flueing on the boiler. This can be down to parts degrading over time, or blockages. Basically, your boiler can’t vent gases correctly. First, check that the flue is not being blocked. It’s not uncommon for leaves or debris to get blown into flues and this would stop them for venting correctly. If all the flue line is clear it’s likely that your flue has corroded over time. A Gas Engineer will need to come and replace the flue and wall clamps. The cost of fixing this boiler fault can vary. The main difference in cost will be down to the type of flue you have. For example, a horizontal flue will cost £30-50. A vertical flue will cost somewhere in the region of £90-120. If you need extensions, they are usually priced at £20-30 each. And then of course, there is the cost of labour. All in all, the average flue replacement can be £140-200. 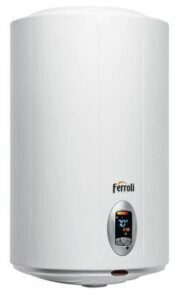 Some Ferroli boilers will lockout if the pressure gets too low. Topping up the boiler is a quick fix but it certainly doesn’t solve the problem. To clear the A23 and A37 fault codes, you need a permanent fix. Leaks are the most common cause of a pressure loss fault. Most of the time this will be leaking from radiator valves, or valves on towel rails. However, the leak can sometimes come from the auto air vent in the boiler, or expansion vessel. If it’s not due to a leak, a build-up of air in the radiators can be the culprit. The easiest place to start is checking for visible leaks. If the leak comes from a valve or stop tap, try tightening it slightly. If there are no leaks, move onto the air in the radiators. You can use a radiator bleed key to remove the air. Close the vent when air stops coming out and water starts. If neither of these issues solve the problem, there’s possibly a lack of pressure in the expansion vessel. A Gas Engineer will come out and top up the pressure on the expansion vessel and ensure there are no other faults with your heating system. It’s worth considering a replacement expansion vessel. A lot of older Ferroli boiler faults come from faulty shut valves in the boiler. A typical symptom is the pooling of water below the boiler’s case. There are other issues that could have caused the leak though. We’ve fixed a Modena 80e in the past that had a loose pump. The pump started leaking and damaged many of the other internal parts. If the problem is isolated to the shut valves on your Ferroli boiler, replacements will be in order. There is rarely a way to fix shut valves without directly replacing them. If the problem relates to the pump, try tightening it to its housing. This usually fixes the issue. The only problem here is the seal is likely to have been put under some excess strain. If the pump is still functional, then the seal alone can be replaced. It’s not just boilers that develop faults. A lot of the times when customers think it’s the boiler playing up, it’s the controls instead. Before going through any expensive fixes it’s a good idea to have an engineer check all the controls are operational. A few fault codes that relate to problems with electrical components include A34, A35, A36 and A62. The most obvious fix here is the to replace the mechanical timer and any thermostat. Bear in mind, there are other reasons a boiler can behave in this manner. There are various pressure and flame sensors in a boiler. If they become clogged up with debris, they are no longer able to do their job. This could explain the erratic behaviour. Those are the most common Ferroli boiler faults we’ve come across over the years. Boiler beyond repair? Get quotes for a new one online here.